Designed to meet differing work requirements in a variety of fields. Its versatility, technical-functional features and performance capabilities make it a truly authentic innovation. It can be used to cut a wide range of materials, for which the manufacturer is available to carry out test cuts, in order to ascertain the machine functionality. The automatic operation of the machine is controlled by a microprocessor, which guarantees the recovery of the work cycle in the event of a power outage or material malfunction, hence maintaining the residual memory without the assistance of a backup battery. 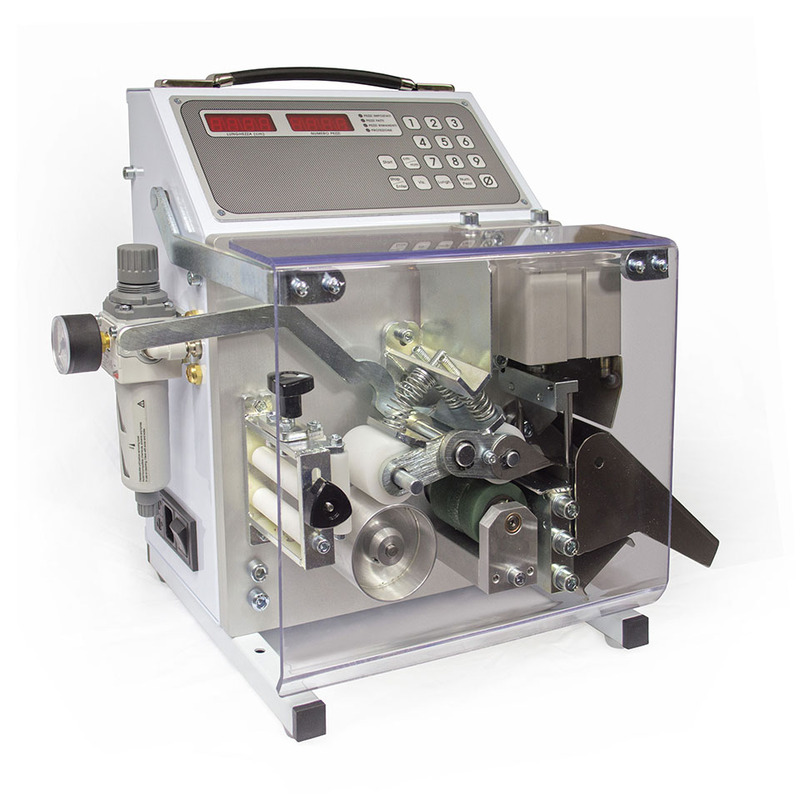 The SP101 TUBE CUTTING MACHINE is equipped with a steel blade and a V cut. With a maximum diameter of 17 mm. The drag rollers are properly shaped in order to increase the traction and improve the centring of the material under the blade. The precision of the cutting length depends on how the material is inserted into the machine. When a high-precision cut is required, we recommend using the machine in combination with one of our DE-REELERS.